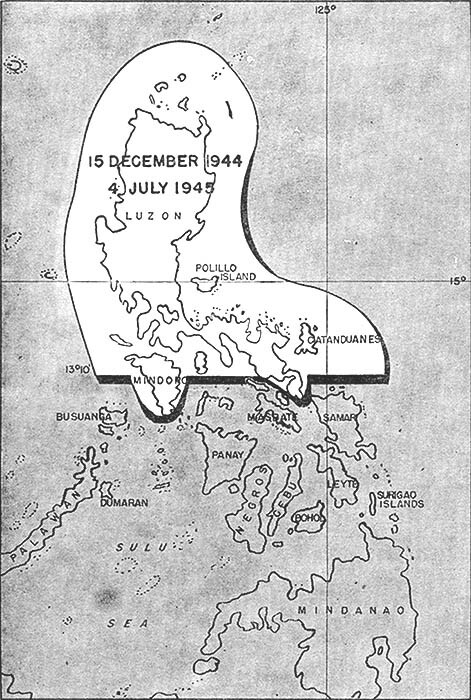 Combat zone.-Philippine Islands and adjacent waters. Time limitation.-7 December 1941 to 10 May 1942. Combat zone.-Geographical limits of Burma. Time limitation.-7 December 1941 to 26 May 1942. 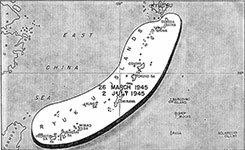 Combat zone.-Central Pacific Area west of the 180th meridian (less the islands of Japan, the Bonin-Volcano Islands, and the Ryukyu Islands, and adjacent waters); the Gilbert Islands and Nauru; the Hawaiian Islands on 7 December 1941 only; Midway Island from 3 to 6 June 1942 only. 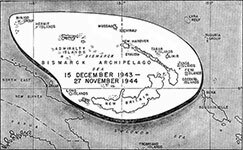 Time limitation.-7 December 1941 to 6 December 1943. 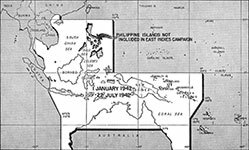 Combat zone.-Southwest Pacific Area less the Philippine Islands and less that portion of Australia south of latitude 21° south. Time limitation.-1 January to 22 July 1942. 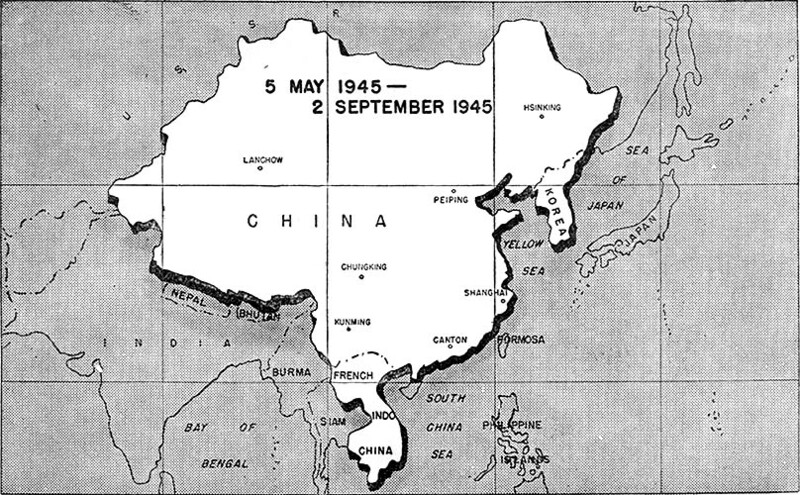 Combat zone.-Those parts of India and the Southeast Asia Command lying east of the following line: The Assam-Tibet border at east longitude 95° 45´; thence due south to latitude 27° 32´ north; thence due west to Sadiya branch of Sadiya-Dibrugarh Railway (exclusive); thence southwest along railway to Tinsukia (exclusive); thence south along Bengal and Assam Railway to Namrup (exclusive); thence southwestward through Mokeuchung, Kohima, Imphal, and Aijal to Chittagong (all inclusive); except that Burma is included in the combat zone from 27 May 1942 to 28 January 1945 only. Time limitation.-2 April 1942 to 28 January 1945. 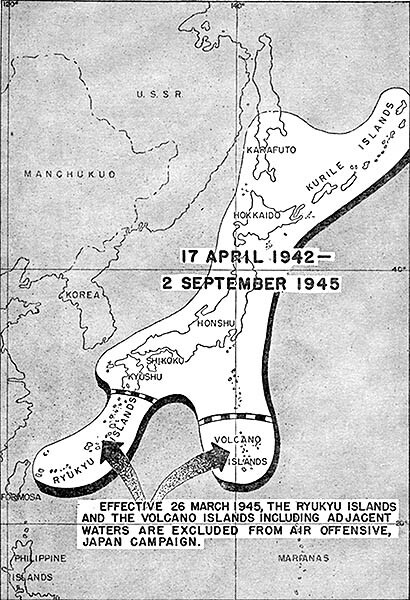 Combat zone.-The Islands of Hokkaido, Honshu, Shikoku, and Kyushu and surrounding smaller islands of the Japanese homeland, the Japanese portion of Karufuto, and the Kurile, Bonin-Volcano, and Ryukyu Islands, and adjacent waters. Effective 26 March 1945, the Ryukyu Islands and the Bonin-Volcano Islands, and adjacent waters, are excluded from the combat zone. Time limitation.-17 April 1942 to 2 September 1945. 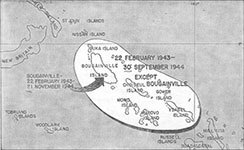 NOTE.-Battle participation credit for this campaign may be awarded by the theater commander to units or individuals who actually engaged the enemy in the Bonin-Volcano Islands after 26 March 1945. 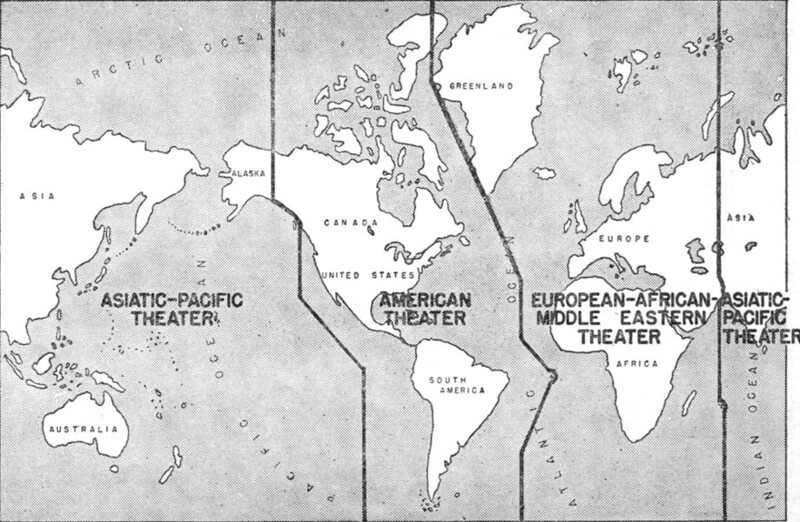 Combat zone.-The area bounded by longitudes 165° west and 170° east, and by latitudes 50° and 55° north. Time limitation.-3 June 1942 to 24 August 1943. Combat zone.-Enemy-held portions of China, Korea, and French Indo-China, plus a zone 50 miles in width extending into territory held by Allied Forces. Time limitation.-4 July 1942 to 4 May 1945. 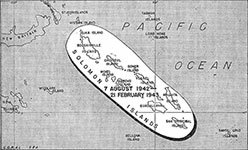 Combat zone.-Southwest Pacific Area less those portions of Australia south of latitude 21° south or east of longitude 140° east, except that the Solomon Islands and adjacent waters are included from 23 July to 6 August 1942 only. Time limitation.-23 July 1942 to 23 January 1943. 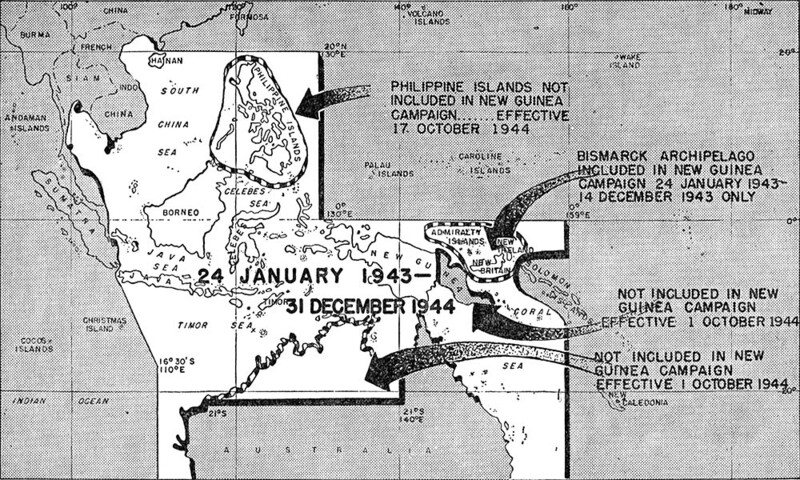 Combat zone.-Solomon Islands and adjacent waters. Time limitation.-7 August 1942 to 21 February 1943. 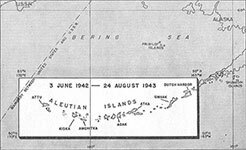 Combat zone.-Southwest Pacific Area less those portions of Australia south of latitude 21° south or east of longitude 140° east, and less the Solomon Islands, except that the Bismarck Archipelago and adjacent waters are included from 24 January to 14 December 1943 only. 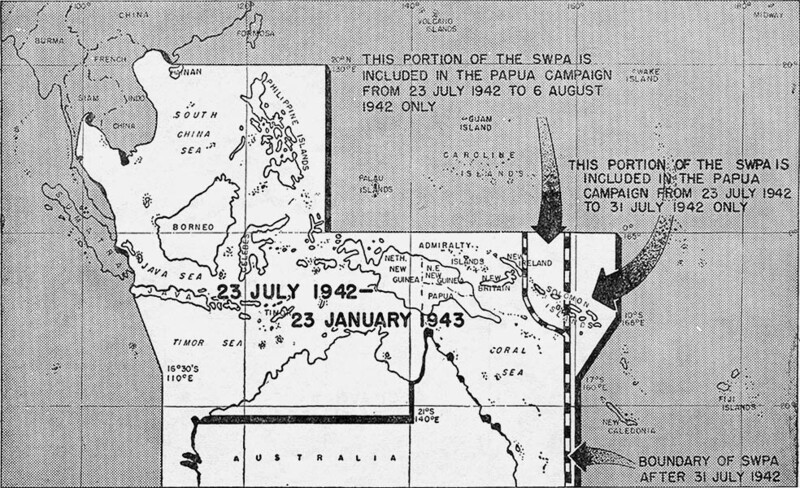 Effective 1 October 1944, Australia and those portions of New Guinea, both south and east of Madang are excluded. 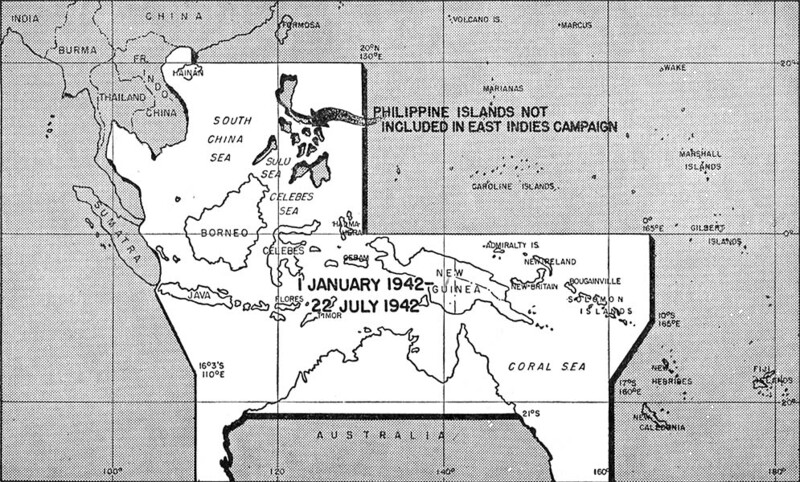 Effective 17 October 1944, the Philippine Islands are excluded. Time limitation.-24 January 1943 to 31 December 1944. NOTE.-Battle participation credit for this campaign may be awarded by the theater commander to units or individuals who actually engaged the enemy after 31 December 1944. 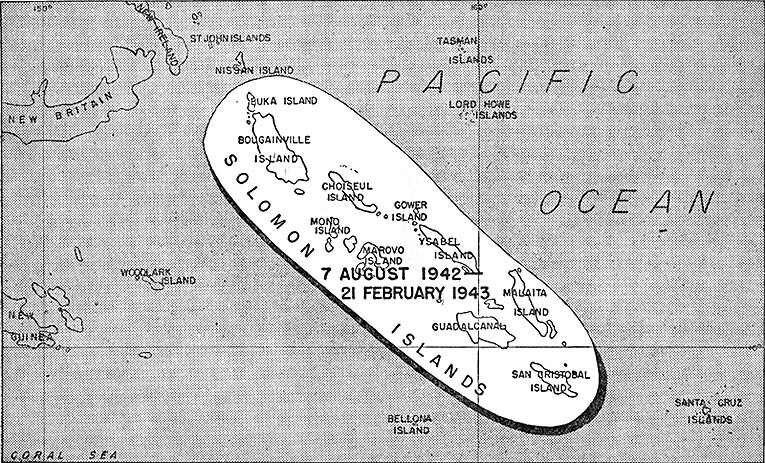 Combat zone.-Solomon Islands north and west of Russell Islands, and adjacent waters. 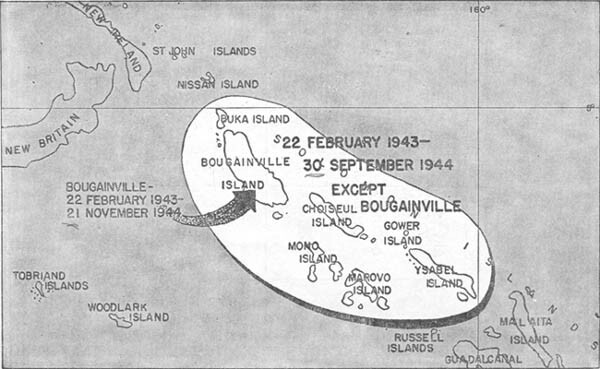 Effective 1 October 1944, the combat zone is limited to Bougainville Island and adjacent waters. Time limitation.-22 February 1943 to 21 November 1944. NOTE.-Battle participation credit for this campaign may be awarded by the theater commander to units or individuals who actually engaged the enemy after the above closing dates. 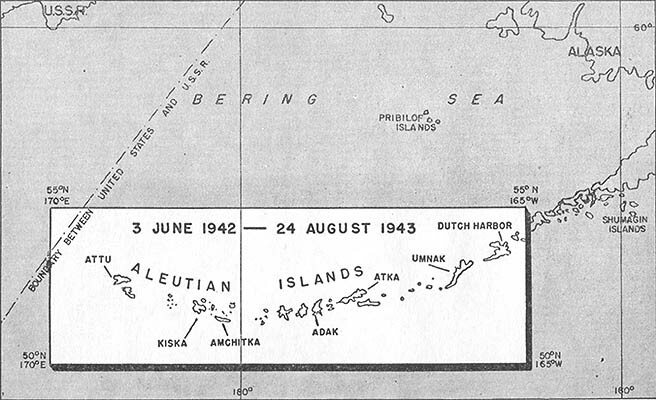 Combat zone.-Central Pacific Area lying between longitude 180° and longitude 150° east, excluding the Gilbert Islands. Time limitation.-Air, 7 December 1943 to 16 April 1944. 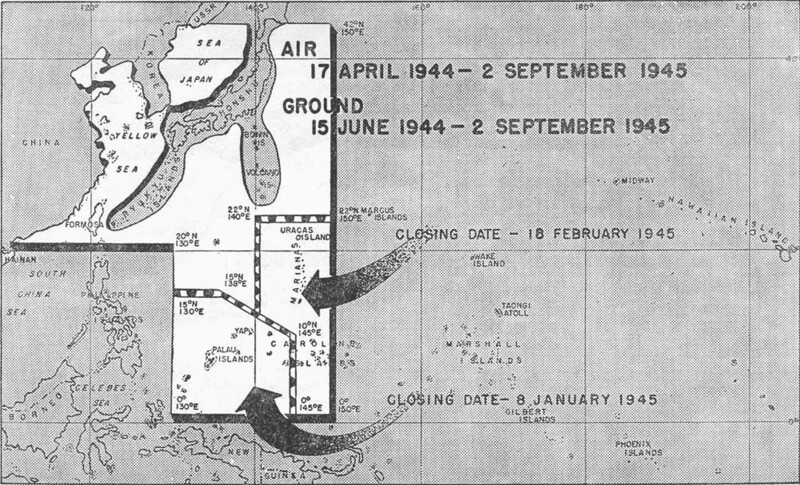 Ground, 31 January to 14 June 1944. 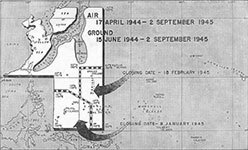 NOTE.-Battle participation credit for this campaign may be awarded by the theater commander to units or individuals who actually engaged the enemy in the combat zone after 16 April 1944 (air), or 14 June 1944 (ground). 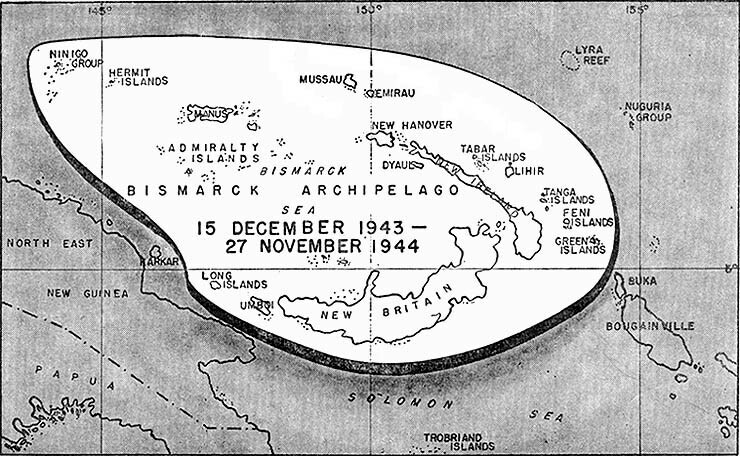 Combat zone.-Bismarck Archipelago and adjacent waters. Time limitation.-15 December 1943 to 27 November 1944. 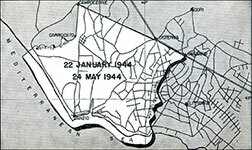 NOTE.-Battle participation credit for this campaign may be awarded by the tbeater commander to units or individuals who actually engaged the enemy after 27 November 1944. 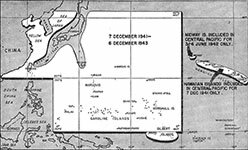 8 January 1945 is the closing date for the area bounded as follows: 0° latitude, 145° E., to 0° latitude, 130° E., thence to 15° N., 130° E., thence to 15° N., 138° E., thence to 10° N., 145° E., thence to start point. 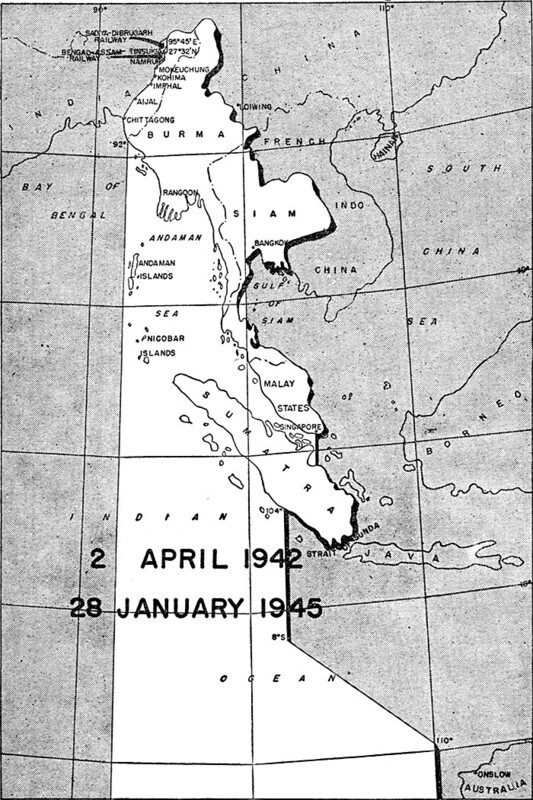 18 February 1945 is the closing date for the area bounded as follows: 0° latitude, 150° E., to 0° latitude, 145° E., thence north and northwest along the easterly limit of area (1) to 140° E., thence north to 22° N., 140° E., thence east to the east limit of the combat zone. Time limitation.-17 April 1944 (air) ; 15 June 1944 (ground) to 2 September 1945. NOTE.-Battle participation credit for this campaign may be awarded by the theater commander to units or individuals who actually engaged the enemy in the combat zone after closing dates. 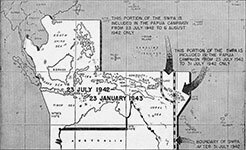 Combat zone.-The Philippine Islands, exclusive of Luzon and Mindoro, lying south of latitude 13° l0´ north, and adjacent waters. 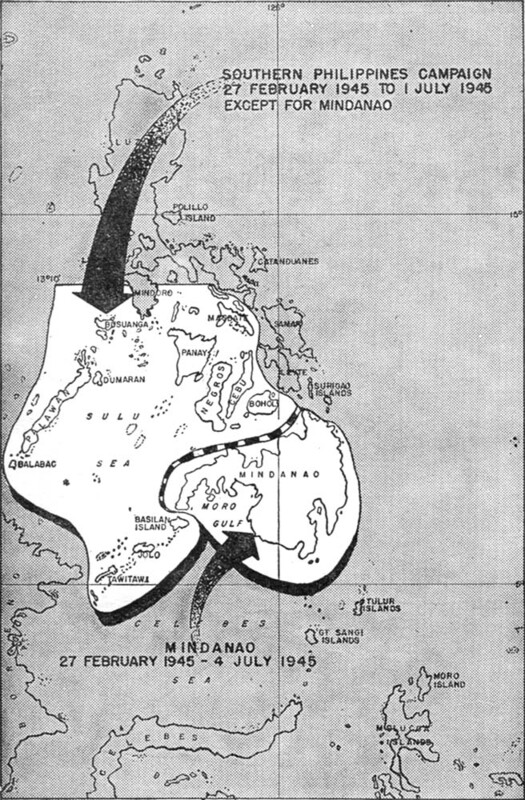 Effective 27 February 1945, the combat zone is limited to the islands of Leyte, Samar, and adjacent islands, to include Biliran, Camotes, Panaon, Dinagat, Homonhon, and Suluan, and adjacent waters. Time limitation.-17 October 1944 to 1 July 1945. 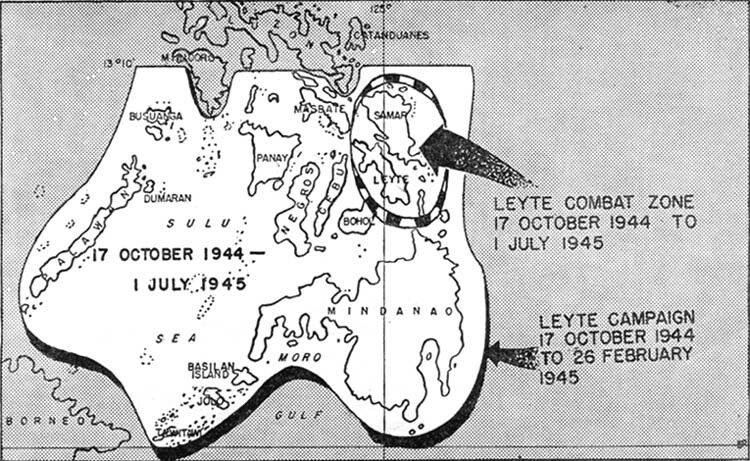 NOTE.-Battle participation credit for this campaign may be awarded by the theater commander to units or individuals who actually engaged the enemy after 1 July 1945 in the Leyte-Samar Area. 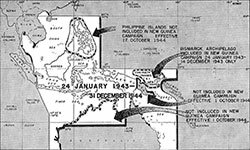 Combat zone.-The Islands of Luzon and Mindoro, other Philippine Islands lying north of latitude 13° 10´ north, and adjacent waters. Time limitation.-15 December 1944 to 4 July 1945. 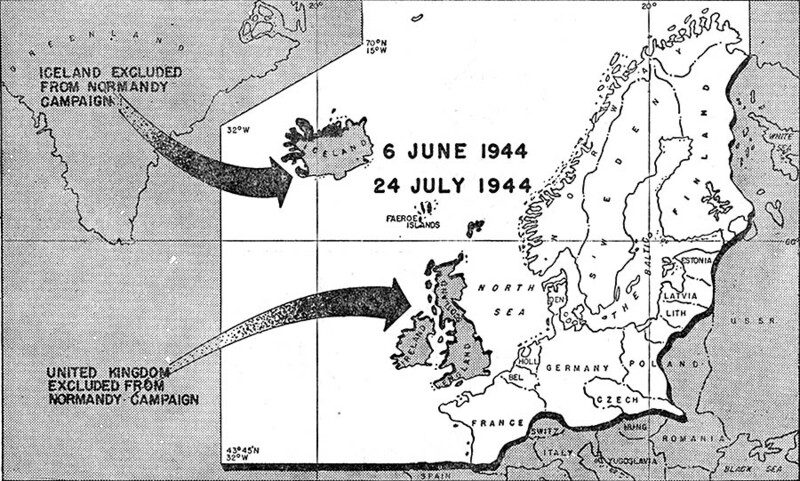 NOTE.-Battle participation credit for this campaign may be awarded by the theater commander to units or individuals who actually engaged the enemy after 4 July 1945. 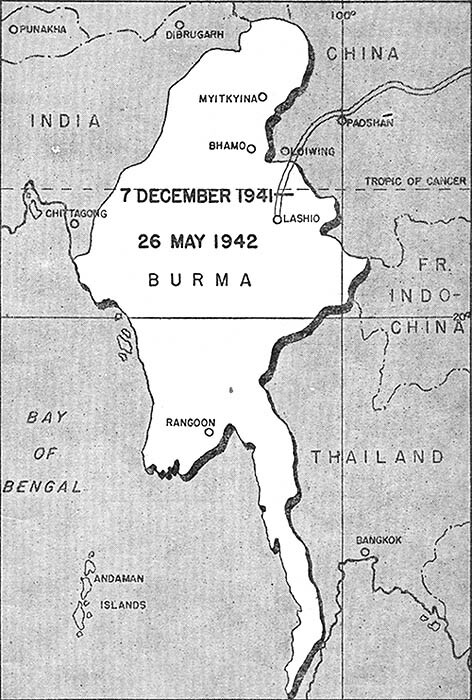 Combat zone.-India-Burma Theater south and east of the following line: latitude 25° 24´ from the Burma-China boundary to Chindwin River, excluding Myitkyina, thence along east bank of Chindwin River to Kalewa (exclusive), thence straight to Chittagong (exclusive), thence southward along the coast to the 92d meridian, thence due south. 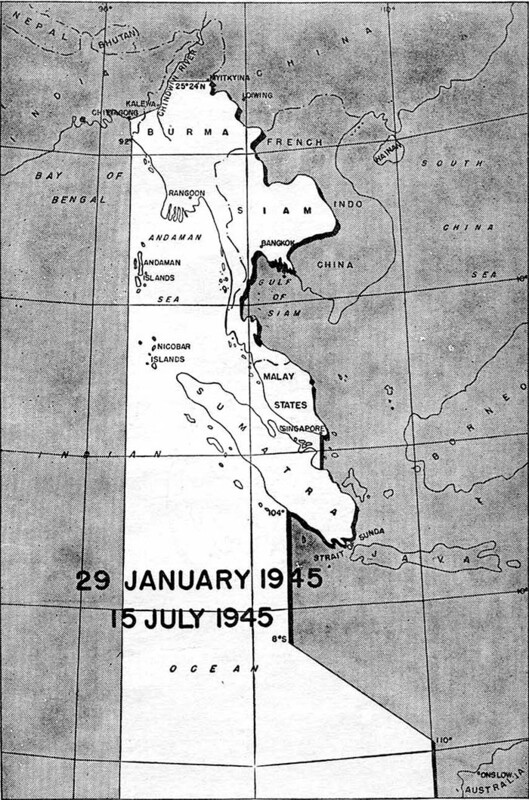 Time limitation.-29 January to 15 July 1945. 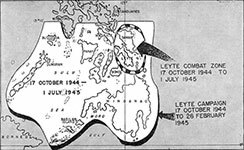 Combat zone.-The Philippine Islands and adjacent waters south of latitude 13° 10´ north, exclusive of Luzon, Mindoro, and the Leyte-Samar area. 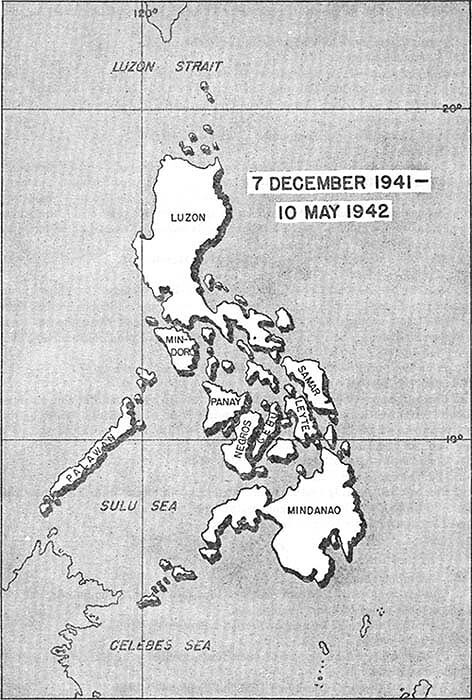 Effective 2 July 1945, the combat zone is limited to Mindanao. 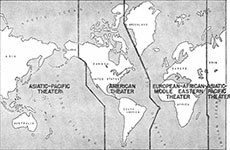 Time limitation.-27 February to 4 July 1945. NOTE.-Battle participation credit for this campaign may be awarded by the theater commander to units or individuals who actually engaged the enemy after the closing dates. Combat zone.-Tbe chain of islands lying between Formosa (exclusive) and Kyushu (exclusive) and adjacent waters. 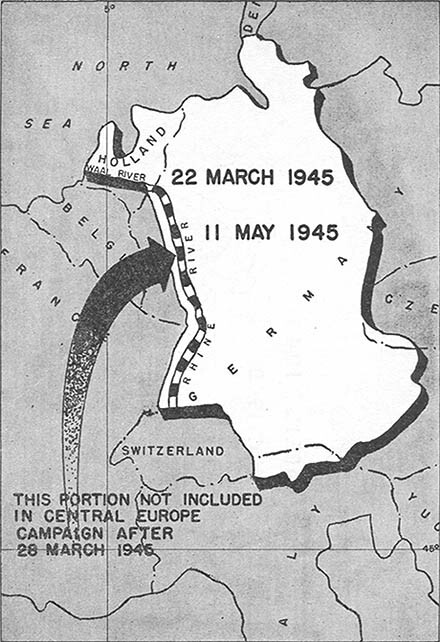 Time limitations.-26 March to 2 July 1945. 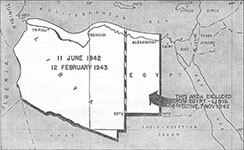 NOTE.-Battle participation credit for this campaign may be awarled by the theater commander to units or individuals who actually engaged the enemy in the combat zone after 2 July 1945. 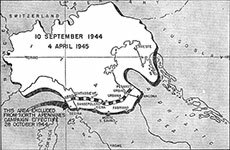 Time limitation.-5 May to 2 September 1945. 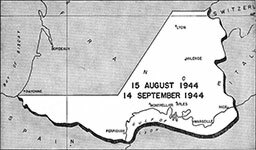 Combat zone.-Egypt and Libya west of 30° east longitude to 6 November 1942, and west of 25° east longitude thereafter, and adjacent waters. Time limitation.-11 June 1942 to 12 February 1943. 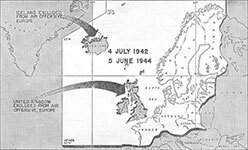 Combat zone.-European Theater of Operations, exclusive of the land areas of the United Kingdom and Iceland. 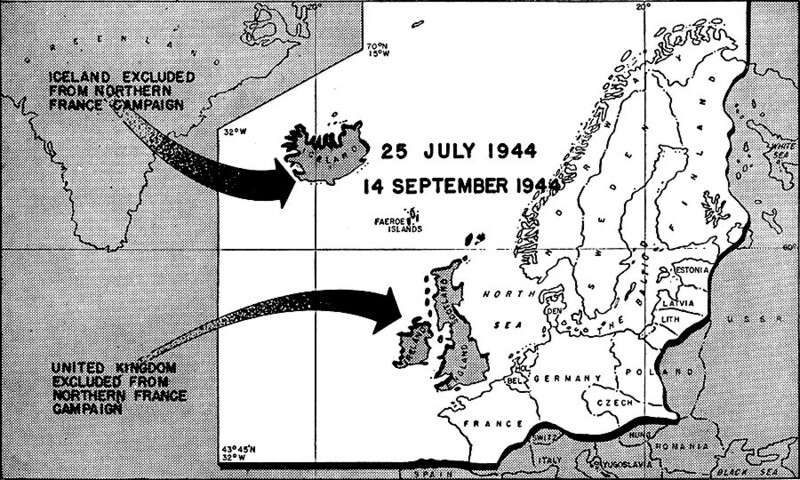 Time limitation.-4 July 1942 to 5 June 1944. 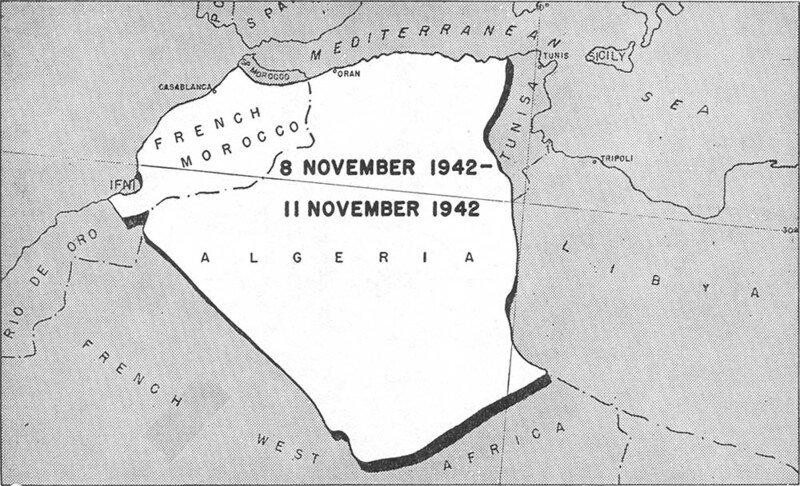 Combat zone.-Algeria, French Morocco, and adjacent waters. 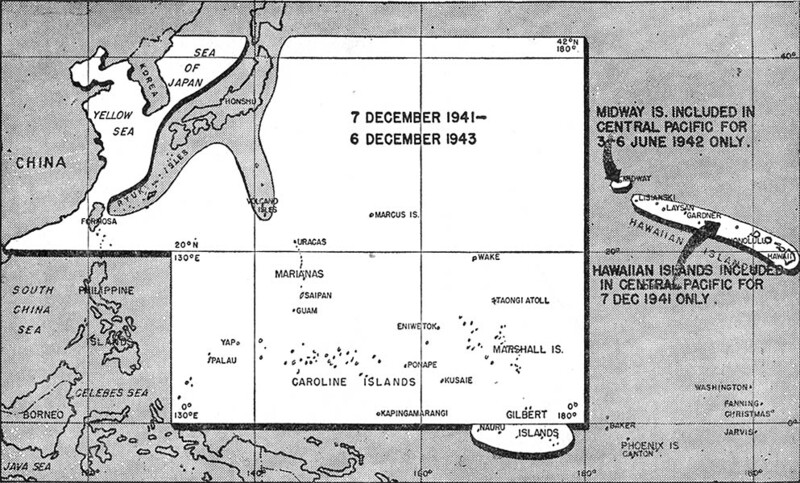 Time limitation.-8 to 11 November 1942. 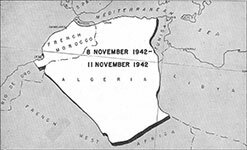 Combat zone.-Tunisia and Algeria east of a north-south line through Constantine (inclusive), and adjacent waters. 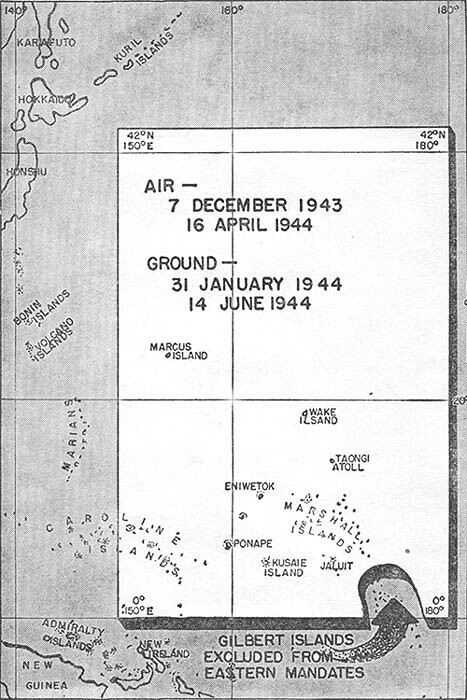 Time limitation.-12 November 1942 (air), 17 November 1942 (ground), to 13 May 1943. 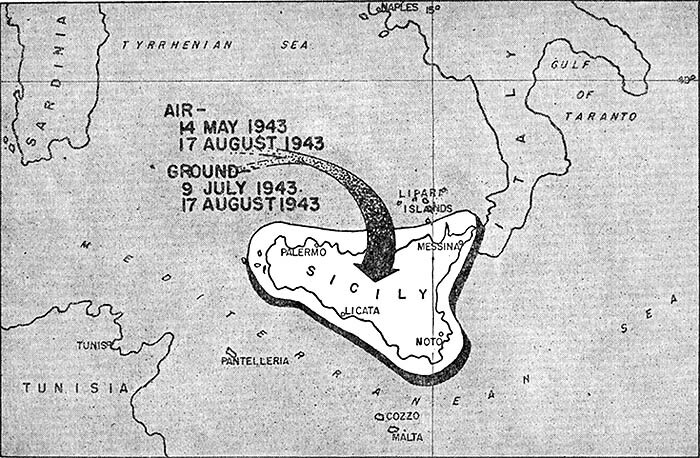 Combat zone.-Sicily and adjacent waters. 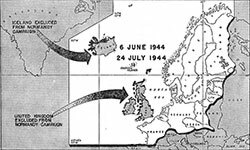 Time limitation.-14 May 1943 (air), 9 July 1943 (ground), to 17 August 1943. 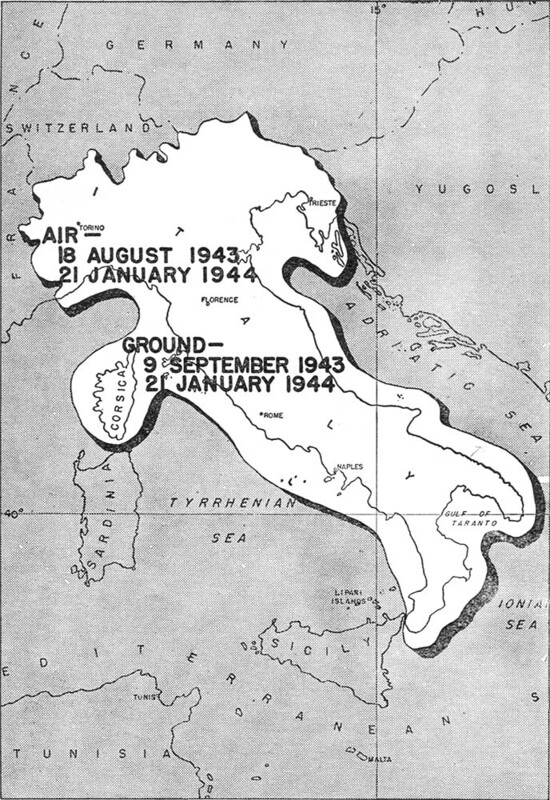 Combat zone.-Italy (exclusive of Sicily and Sardinia), Corsica, and adjacent waters. Time limitation.-18 August 1943 (air), 9 September 1943 (ground), to 21 January 1944. 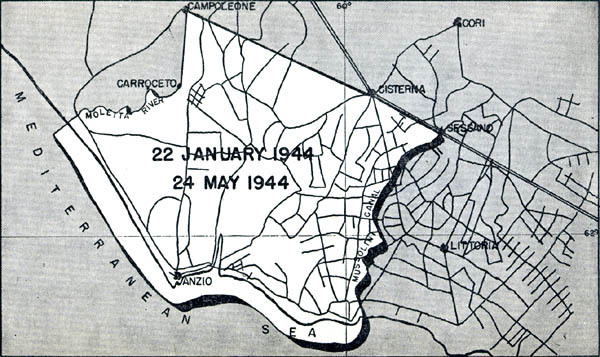 Combat zone.-Mussolini Canal-Sessano, Cisterna, Carnpoleone, Carroceto, Moletta River, and adjacent waters. 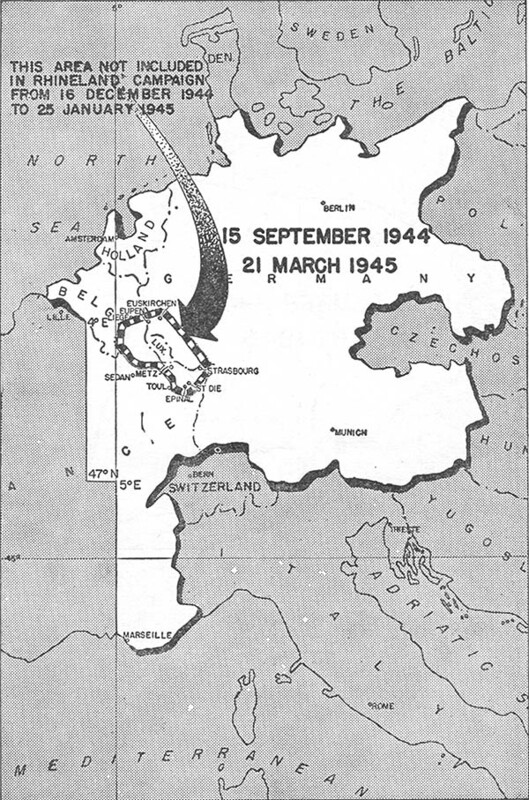 Time limitation.-22 January to 24 May 1944. 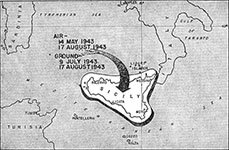 Combat zone.-Italy (exclusive of Sicily and Sardinia), Corsica, and adjacent waters, to 15 August 1944; thereafter, that portion of the Italian mainland and adjacent waters north of 42° north latitude, except that the area of the Anzio combat zone is excluded from 22 January to 24 May 1944. Time limitation.-22 January to 9 September 1944. 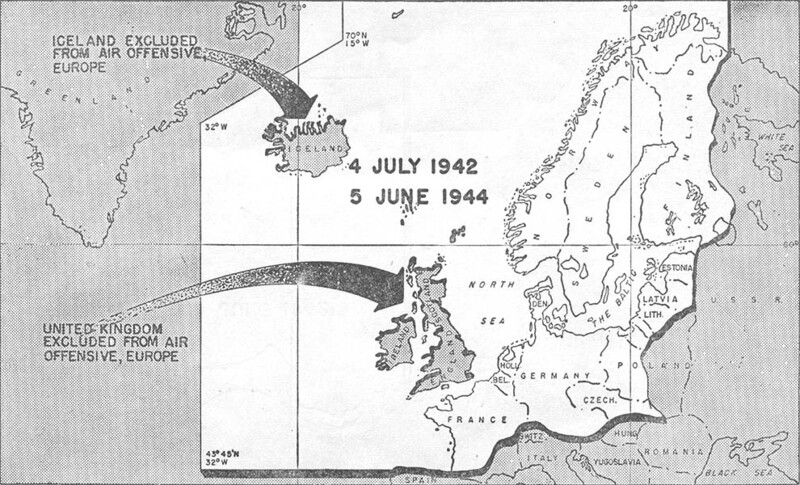 Time limitation.-6 June to 24 July 1944. 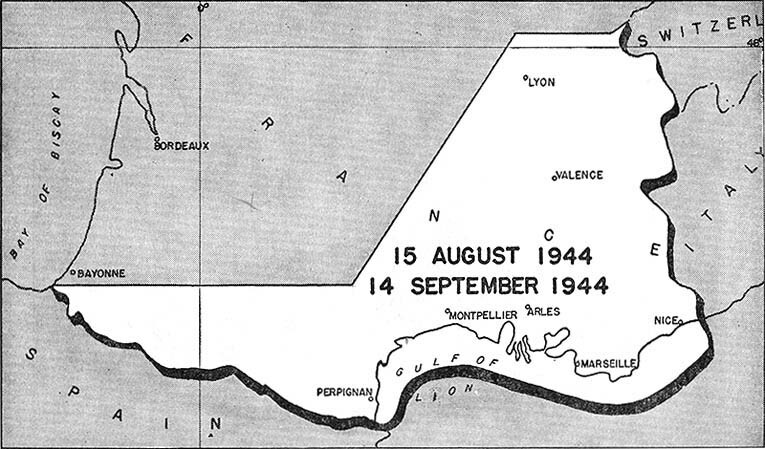 Time limitation.-25 July to 14 September 1944. NOTE.-Battle participation credit for this campaign may be awarded by the theater commander to units or individuals who actually engaged the enemy after 14 September 1944 west of the Rhineland combat zone. 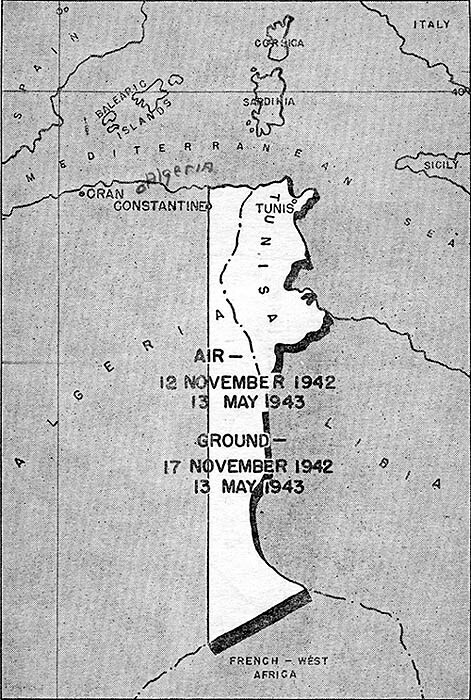 Combat zone.-Tbose portions of France (exclusive of Corsica) occupied by forces assigned to the North African Theater of Operations, and adjacent waters. 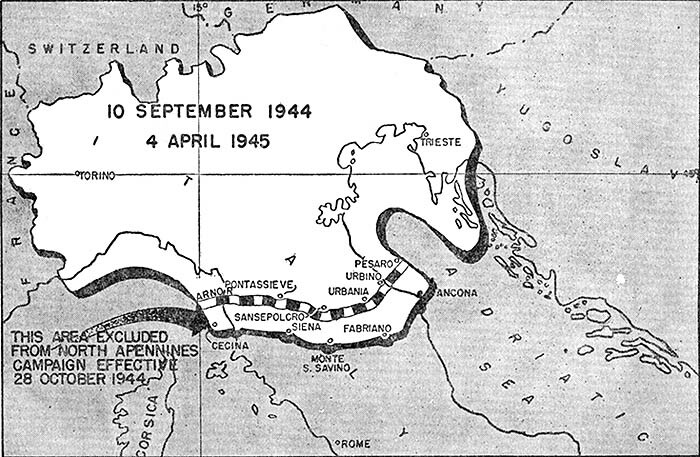 Time limitation.-15 August to 14 September 1944. 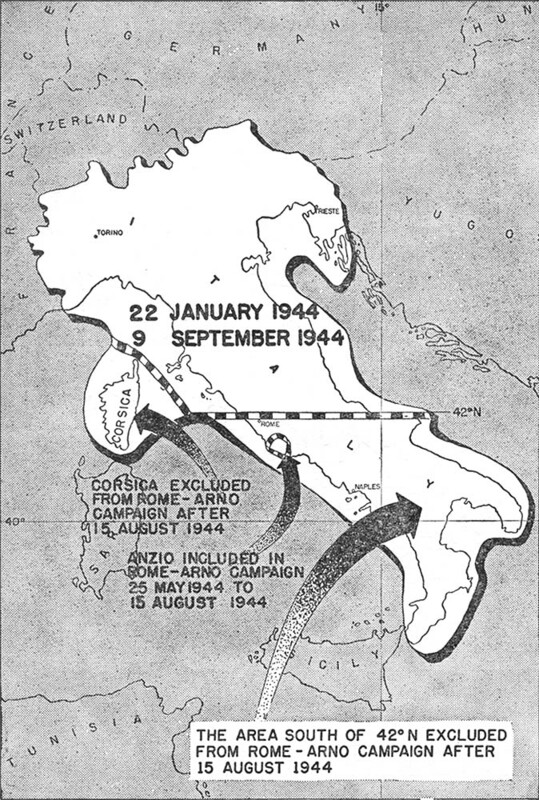 Combat zone.-Italy and adjacent waters north of the line: Cecina-Siena-Monte S. Savino-Fabriano-Ancona (all inclusive) to 27 October 1944, and thereafter north of the line: Arno River-Pontassieve-Sansepolcro-Urbania-Urbino-Pesaro (all inclusive). Time limitation.-10 September 1944 to 4 April 1945. 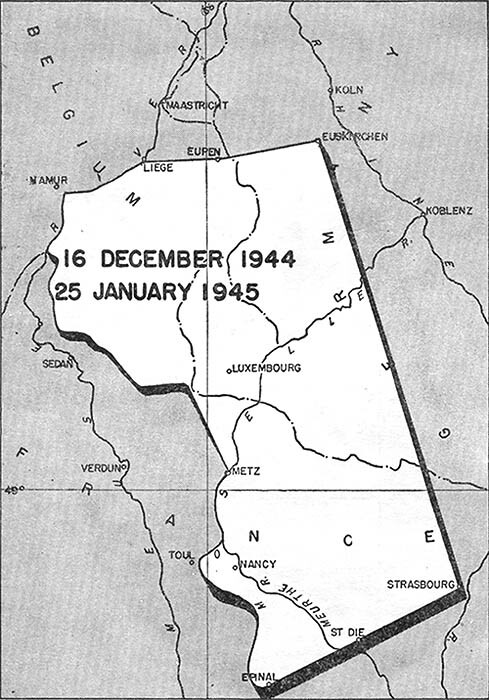 Combat zone.-Belgium, Holland, Luxembourg, Germany, and France east of the line: Franco-Belgian frontier to 4° east longitude, thence south along that meridian to 47° north latitude, thence east along that parallel to 5° east longitude, thenee south along that meridian to the Mediterranean coast, except that the area of the Ardennes-Alsace combat zone is excluded from 16 December 1944 to 25 January 1945. Time limitation.-15 September 1944 to 21 March 1945. Combat zone.-Euskirchen, Eupen (inclusive), Liege (exclusive), east bank of the Meuse River to its intersection with the Franco-Belgian border, thence south and east along this border to the western border of Luxembourg, thence to Metz (inclusive), east bank of the Moselle River to Epinal (inclusive), Strasbourg (inclusive). Time limitation.-16 December 1944 to 25 January 1945. 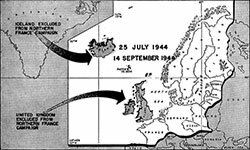 Combat zone.-The areas occupied by troops assigned to the European Theater of Operations, east of a line 10 miles west of the Rhine River between Switzerland and the Waal River until 28 March 1945, and thereafter east of the east bank of the Rhine. 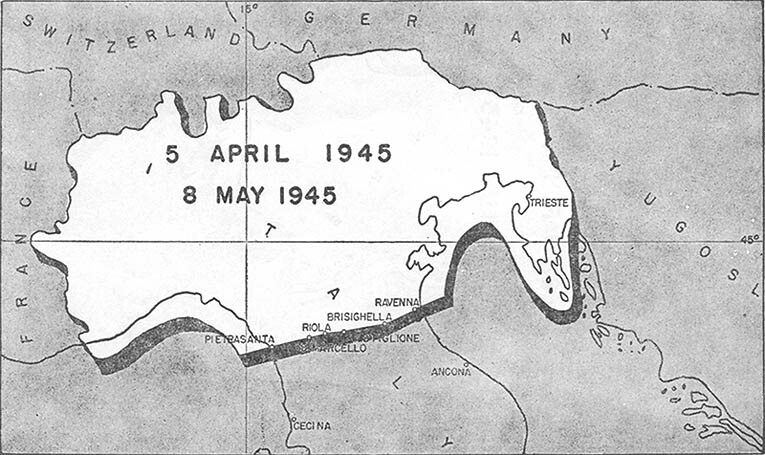 Time limitation.-22 March to 11 May 1945. Combat zone.-Italy and adjacent waters north of the line: Pietrasanta-San Marcello-Riola-Castiglione-Brisighella-Ravenna (all inclusive). Time limitation.-5 April to 8 May 1945. Combat zone.-All theaters of operations and defense commands, exclusive of the combat zones of named campaigns. Time limitation.-7 December 1941 to 2 September 1945. Combat zone.-All theaters of operations, exclusive of the combat zones of named campaigns. II_ _RESCISSION.-WD General Orders 105, 1945, is rescinded.